Note: If you are ordering any figures with the Choose Hand Feature (CHF) please list choices next to figure choice. If this is not done, VFM will send basic choice for that figure. 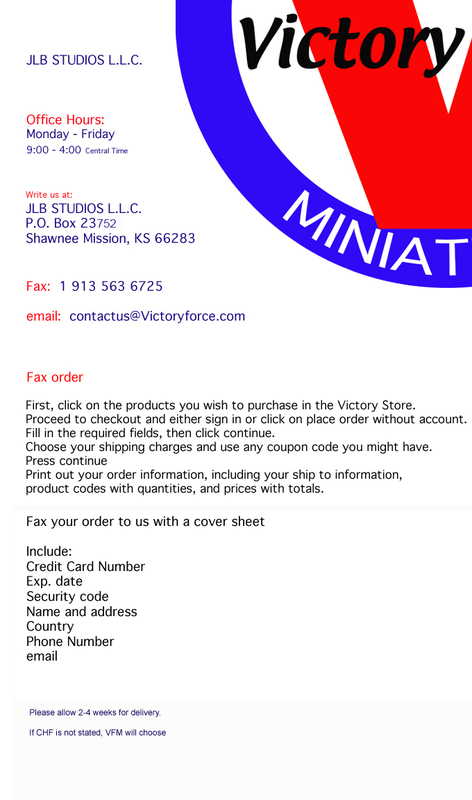 See Victory Store main page for further information and updates.